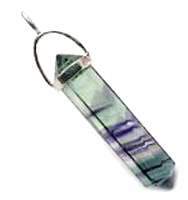 Fluorite Double Terminated Faceted Crystal is a stone carved of beautiful HIGH QUALITY Rainbow Fluorite. 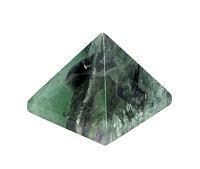 Fluorite draws off negative energies and stress of all kinds, absorbs and neutralizes negative vibrations. 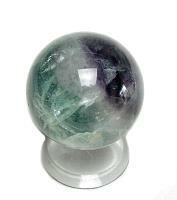 Fluorite is a success stone, increases concentration and helps in decision making. Helps you to know when there are outside influences at work. 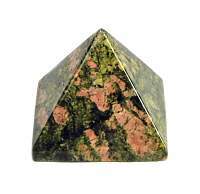 It can assists you to move forward in any endeavor and makes an excellent learning aid for students of all ages. 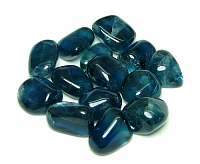 Fluorite is great for computer electromagnetic stress. 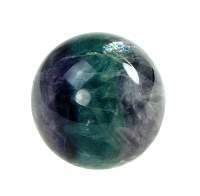 Fluorite gemstone are filled with the beautiful color for which fluorite is known, making each an entirely unique piece, yielding a beautiful view that changes with every glance and shift in light. 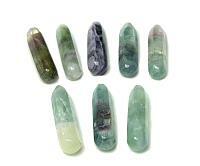 Fluorite polished stones promote spiritual and psychic development, truth, protection, and brings peace. It protects psychically. 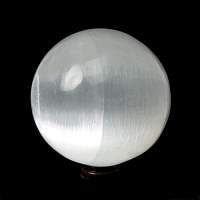 It can help with meditation by letting us go past the chatter that our minds tend to generate when first learning to meditate. 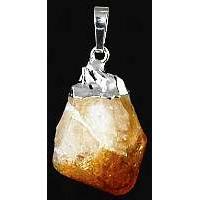 Double Terminated Quartz have definite points at both ends which radiates or absorbs energy at both ends simultaneously, channeling it in two directions at once. 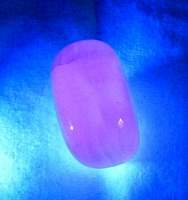 It is said to be a stone of balance, as it integrates spirit and matter and can provide a bridge between two energy points.